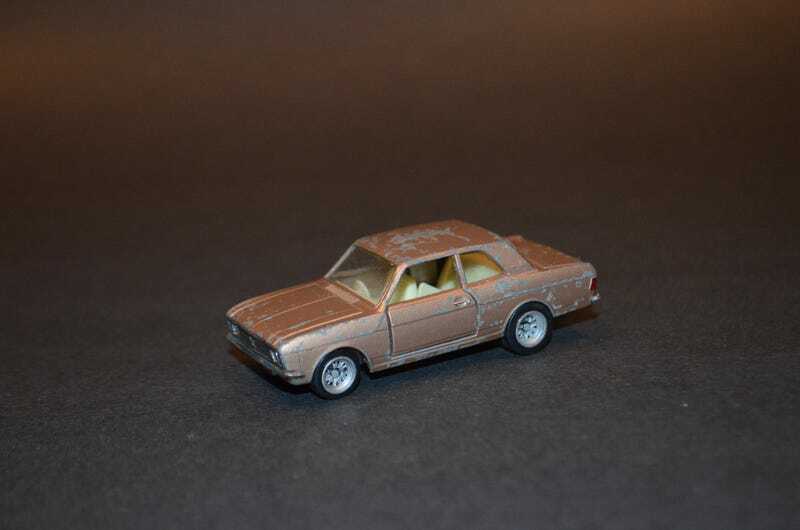 For this Thursday I present an elderly Ford Cortina that has been hopped up with some new wheels. I like how this old Lesney came out, it looks like what some teenage kid in Britain might have been driving around in in the 70s. Enough money for an old Ford and some Mag wheels, but no cash for a proper respray.